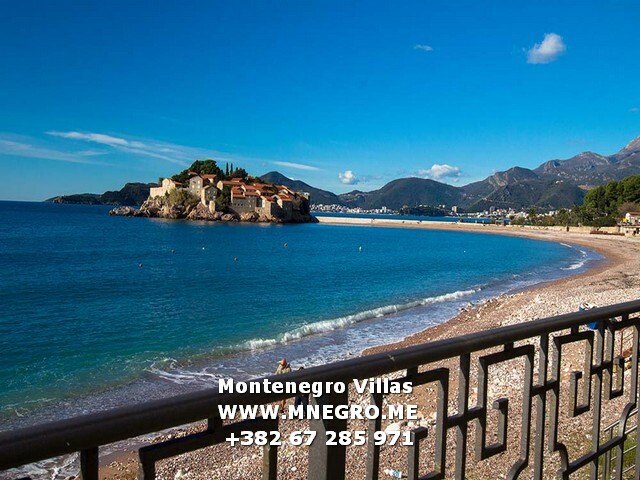 MONTENEGRO ME723-4 Exclusive St Stefan Beach APP on the Beautiful Beach Sveti Stefan | MONTENEGRO Villas 2019 rental UNIQUE Vacation for You !!! 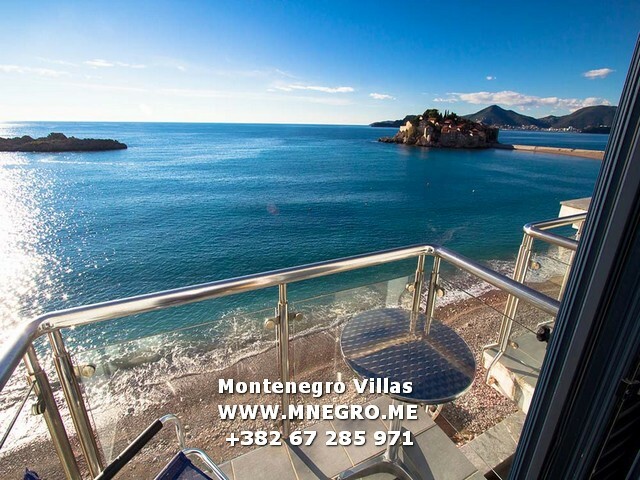 MONTENEGRO ME723-4 Exclusive St Stefan Beach APP on the Beautiful Beach Sveti Stefan – MONTENEGRO Villas 2019 rental UNIQUE Vacation for You !!! Montenegro Villas are the real place for you !!! Features: 4 bedrooms (2 bedrooms-French bed/2 bedrooms-twin beds), living room (folding sofa + 2armchairs), equipped kitchen, dining room with terrace and sea view, storeroom, 3 bathrooms (two rooms – private bathrooms; two rooms –one bathroom). The living room has a terrace with direct sea view and overlooking the island of St. Stefan, 3 rooms don`t have terrace; one room has terrace with direct sea view (common terrace with dining area). Cable TV, DVD Player, Telephone, Air Condition, Hair Dryer, kitchen (fridge, microwave, dishwasher, kettle), washing machine.